Atheism, Faith, Heaven, Hell, Laws of Nature, Liberate your Mind!, Physics, Science, There is a God! Noah’s Ark could have floated even with two of every land animal in the world packed inside, scientists have calculated. Although researchers are unsure if all the creatures could have squeezed into the huge vessel, they are confident it would have handled the weight of 70,000 animals without sinking. A group of master’s students from the Department of Physics and Astronomy at Leicester University studied the exact dimensions of the Ark, set out in Genesis 6:13-22. According to The Bible, God instructed Noah to build a boat that was 300 cubits long 50 cubits wide and 30 cubits high – recommending that it be constructed from gopher wood. The students averaged out the Egyptian and Hebrew cubit measurement to come up with 18.98in, making the Ark around 472ft long – about 328ft shorter than the Navy’s recently scrapped aircraft carrier Ark Royal. Using those dimensions, the Archimedes principle of buoyancy and the approximate weight of various animals, they were surprised to discover that the Ark could have floated. Previous Post‘Tis an ill wind that blows no mindsNext PostAny Doubts? Legalise! The dimensions of the Ark are convincing for two reasons: the proportions are like that of a modern cargo ship, and it is about as large as a wooden ship can be built. The cubit gives us a good indication of size.1 With the cubit’s measurement, we know that the Ark must have been at least 450 feet (137 m) long, 75 feet (23 m) wide, and 45 feet (14 m) high. In the Western world, wooden sailing ships never got much longer than about 330 feet (100 m), yet the ancient Greeks built vessels at least this size 2,000 years earlier. China built huge wooden ships in the 1400s that may have been as large as the Ark. The biblical Ark is one of the largest wooden ships of all time—a mid-sized cargo ship by today’s standards. 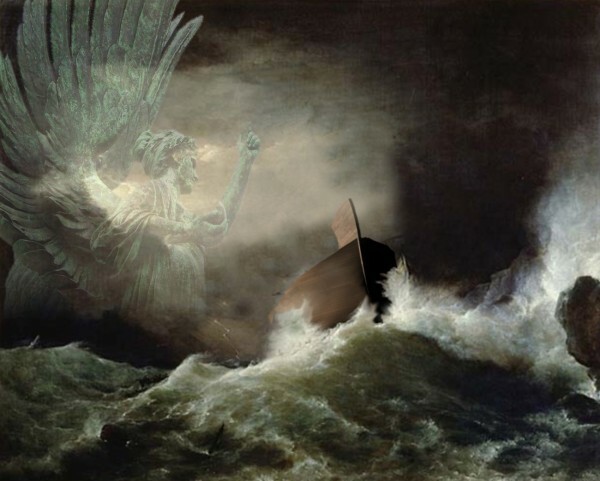 NOAH’s ARC FOUND … Right WHERE The BIBLE PROPHESIED … This Is BEYOND MIRACULOUS!